Get the Full StoryMatthew Lewis GettyIn Las Vegas, on August 26, the unbeaten American boxer Floyd Mayweather Jr. and the immensely popular Irishman Conor McGregor will face off in a boxing ring, where only striking with hands while standing is allowed. It would be just another boxing match, albeit a huge one, except that McGregor is not even a boxer. Instead, he holds the lightweight and welterweight titles in mixed martial arts MMA , an emerging combat sport where striking and grappling with both hands and legs is allowed, both while standing and on the ground. 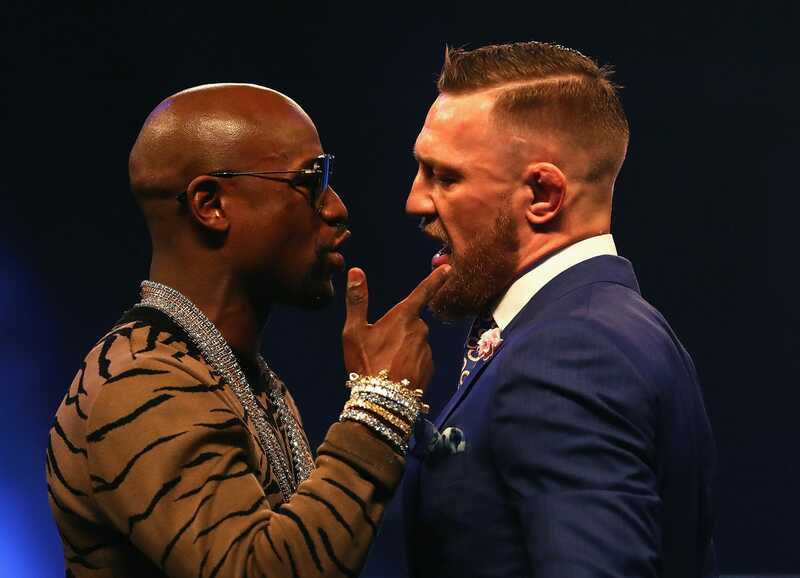 It is an unprecedented match-up and some people believe that McGregor, with his speed, athleticism and youth he is 11 years younger than Mayweather has a shot at doing something that 49 professional boxers before him have not been able to accomplish. But scientific evidence from the neuroscience of expertise, an emerging field investigating the brain functioning of experts, warns against betting on an MMA fighter even one as skilled as McGregor upsetting a boxer in a boxing match. The performances of experts often leave us speechless, wondering how it is humanly possible to pull off such feats. This is particularly the case in sports. Consider the serve in tennis. Once the ball is in the air, the brain needs time to process the ball s trajectory and prepare an appropriate course of action, but by the time the body actually executes the required movements in response to these mental processes, the racket will do no more than slice the air, as the ball will have already passed by. This is the paradox of fast reaction sports such as tennis or boxing: it is only when the ball or the punch is in the air that we can tell with certainty what is going to happen, but by then it is far too late to react in time, even for the quickest humans. The expert brain adapts to this problem by "reading" the intention of the opponent. The positioning and movements of feet, knees, shoulders and the serving hand in tennis give away clues about the direction and power of a tennis serve. Similarly, the positioning of feet, hips and shoulders provide enough information for the boxing brain to anticipate a punch well in advance. This anticipation power of experts is the reason why the very best practitioners can look like characters from The Matrix, giving the impression of having all the time in the world in an environment where split-second responses decide who wins and who loses. Being fast and having good reflexes in general is certainly helpful in rapidly changing environments like sports. But no speed in this world will be enough if the brain hasn t experienced and stored tens of thousands of movement patterns, which can then be reactivated and used for reading the situation at hand. This is illustrated by another unofficial cross-discipline event that occurred 50 years ago between the legendary Muhammad Ali and Jim Brown, National Football League NFL legend. Jim Brown was a force of nature. He was incredibly quick, immensely powerful, and his extraordinary coordination and reflexes made him one of the greatest NFL players. In the mid 1960s, aged 30, Jim Brown was bored with the NFL and was pondering other ways of making a living. One of them was boxing, a sport where his immense quickness and sheer power would seem to be especially useful. Ali tried to persuade Brown to give up on his dream of being a boxer. Brown maintained that he was as quick and as powerful as Ali, if not more so, and if boxing suited Ali, it should suit him too. A "sparring session" ensued, where Ali asked Brown to hit him as hard as possible. The problem was that Ali was never to be found at the spot where he had been standing a moment earlier. According to the legendary promoter Bob Arum, after about 30 seconds of swinging and missing by Brown, Ali pulled off one of his lightning quick one-two combinations and stopped Brown momentarily in his tracks. At that moment, Brown, visibly winded, clocked the situation and simply said: "OK, I get the point." Don t expect McGregor to be so totally embarrassed, as Brown was. After all, MMA includes aspects of boxing and McGregor has had experience with the sport, unlike Brown. Still, that experience is limited because boxing is just a part of the MMA skill set not to mention embedded in a context where one needs to employ leg strikes and takedowns . One can be certain that McGregor s brain has stored vastly fewer kinematic boxing patterns than the brain of a person who has boxed all their life, such as Mayweather Jr.
Mayweather Jr. may be 40, he may have ring rust after being absent from the ring for almost two years, and McGregor is not only 11 years his junior but also possibly faster and stronger; but everything we know about the way experts brains work tells us that the smart money is on Mayweather Jr. recording a convincing win.